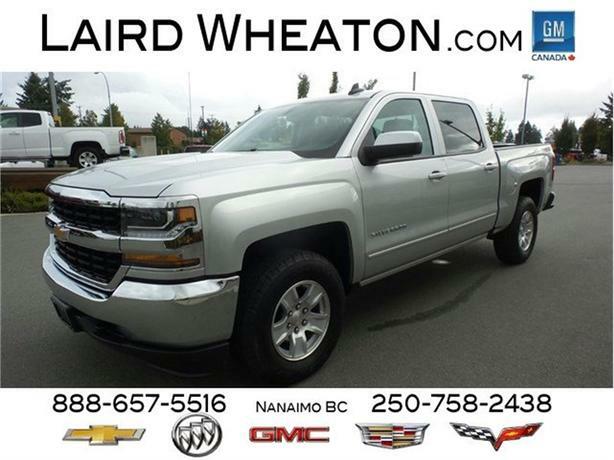 Come see this capable 2018 Chevrolet Silverado 1500 LT. Windows, power front and rear with driver express up and down and express down on all other windows, Wheelhouse liners, rear (Requires Crew Cab or Double Cab model. ), Visors, driver and front passenger illuminated vanity mirrors, Transmission, 6-speed automatic, electronically controlled with overdrive and tow/haul mode. Includes Cruise Grade Braking and Powertrain Grade Braking, Transfer case, electronic Autotrac with rotary dial control (Included with 4WD models only.). * This Chevrolet Silverado 1500 Features the Following Options *Tire Pressure Monitoring System with Tire Fill Alert (does not apply to spare tire), Tire carrier lock, keyed cylinder lock that utilizes same key as ignition and door, Teen Driver mode a configurable feature that lets you activate customizable vehicle settings associated with a key fob, to encourage safe driving behavior. It can limit certain vehicle features, and it prevents certain safety systems from being turned off. An in-vehicle report gives you information on your teen's driving habits and helps you to continue to coach your new driver, Tailgate, EZ-Lift and Lower, Tailgate and bed rail protection cap, top, Steering, Electric Power Steering (EPS) assist, rack-and-pinion, Steering wheel, leather-wrapped with audio and cruise controls, Steering wheel audio controls, Steering column, Tilt-Wheel, manual with theft-deterrent locking feature, StabiliTrak, stability control system with Proactive Roll Avoidance and traction control includes electronic trailer sway control and hill start assist. * Visit Us Today *Test drive this must-see, must-drive, must-own beauty today at Laird Wheaton, 2590 Bowen Road, Nanaimo, BC V9T 3L3.